Yesterday, we went to Babies R Us and bought Roman a new high chair. 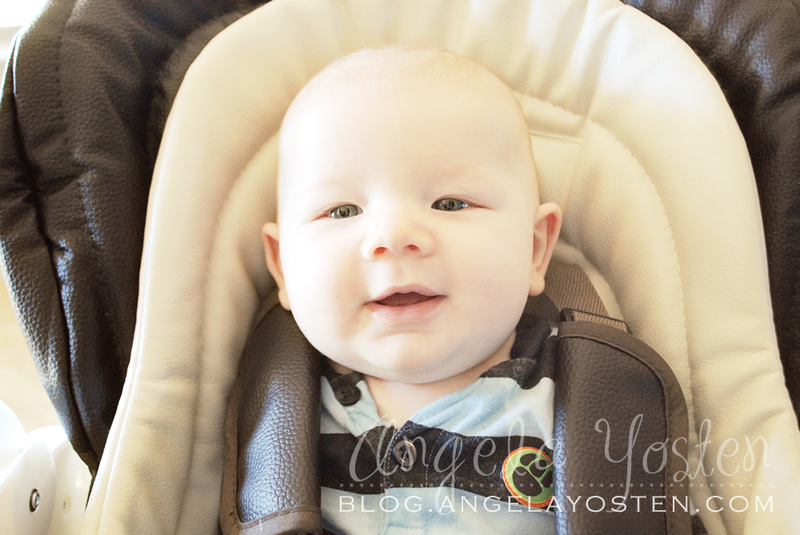 Now that he is almost 5 months old, we started feeding him rice cereal and soon he will be trying out new foods and he needed a chair where he could enjoy his first foods. I knew all along that I wanted to get a Chicco high chair. 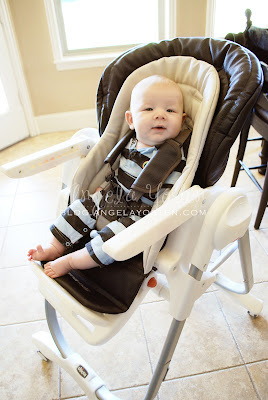 We had a Chicco Polly high chair for our other two kids and loved it. I especially loved the versatility of the chair with its different height positions and reclining capabilities. So, when we got there, I noticed this other Polly Magic high chair, also by Chicco, right next to the Polly high chair. The difference... the cost was only $10.00 more and the upholstery was different. The Chicco Polly chair is upholstered in vinyl while the Polly Magic chair is covered in a padded leatherette. I love the styling of the leatherette look, it blends in nicely with my current decor and is still easy to wipe clean with a wet cloth. All the rest of the features of the Polly and Polly Magic seem to be almost identical. So it really comes down to preference as to what fabric you prefer to have when choosing which Chicco high chair is best for you. There is a removable top tray that snaps on and off easily for a quick clean without having to remove the entire tray. 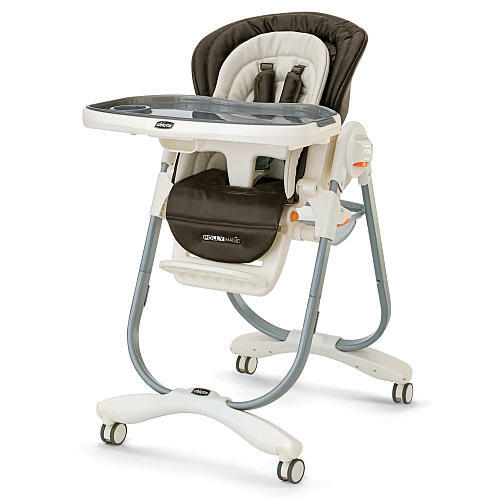 Less bulky and you can instantly get the food mess away from baby without having to remove him from the chair. The chair positions are a great feature for any age from infant on up to toddler. I love this chair because I can feed Roman while he is sitting in the up position and then I can gently recline the seat back for him to take a quick rest. Just image if you had just finished eating a big meal, you could simply unbutton that top button on your pants and recline back... all in the same chair. Great for babies... dangerous for adults. HA! We wouldn't get anything done! The wheels on the base of the chair are great features as well. They are wrapped with rubber tracks, so it is quiet and has some traction, so it does not go slip sliding around the floor. It glides beautifully on hard floors as well as carpet. 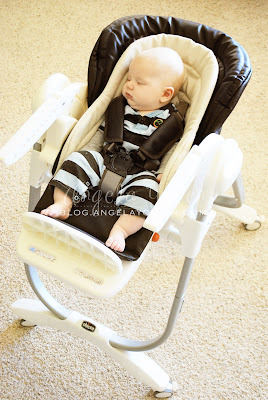 This is simply a dream high chair and definitely worth the money. I wouldn't have any other chair.... just ask my husband. ;0) Most of all... Roman really likes his new high chair. It is Magic in the making! Well done Chicco, you have outdone yourself with this high chair. I had a Chicco Mama for my kids and loved it...its amazing how the products have progressed so much in the last 10 yrs.